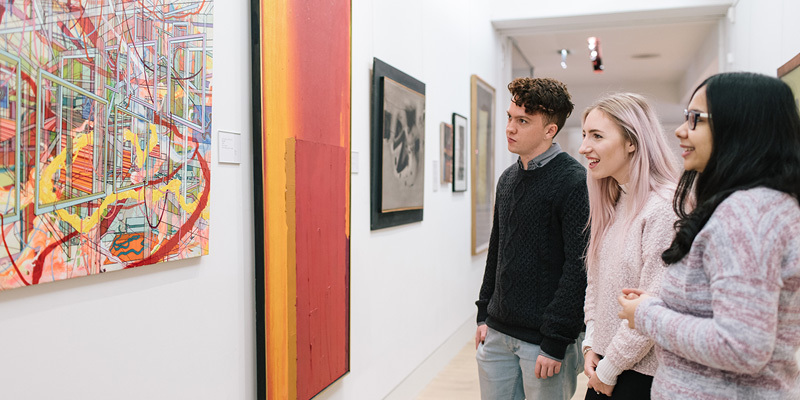 In Semester 2, you can undertake a negotiated work placement with one of our many art gallery, museum or heritage partners in Leeds or further afield, to gain first-hand experience of contemporary museum and gallery practice. We have close links with many of the major cultural institutions and organisations in the region, meaning there are plenty of opportunities for you to explore. If you have a particular ambition in mind for your placement, we usually try to find a role that suits you. Throughout your placement, you will return to the classroom each week to consider key aspects of professional practice, in sessions which are frequently led by experienced museum staff.